Every year, a typical 100-bed nursing home reports 100-200 falls, according to the CDC. Of course, those are only the ones that get reported. And these falls are not just a “nuisance” — nearly 2,000 nursing home residents die from falls annually. And 10 to 20 percent of all nursing home falls result in serious injury. Needless to say, dealing with falls costs nursing homes — in time, resources, direct costs (like treating the resident’s injuries), and indirect costs (like lawsuits stemming from preventable falls). When a resident’s fall risk assessment reveals that they are at a high risk of falling, some nursing homes assign that resident a “1:1 companion” — a nurse or caregiver that is with the patient at all times. According to a 2010 Nursing Management paper, though, not only does this strategy use nursing staff inefficiently — 1:1 companions don’t prevent falls either. For example, an 82-year-old patient can still fall while the companion is preparing his tea. Even under the most monitored conditions, a patient can suffer a serious fall. Instead of using this method, the authors of the paper recommend ongoing fall risk assessments along with a fall risk reduction care plan. Research has shown that vitamin D has a small, but positive effect on bone density in seniors. However, many have jumped to the conclusion that vitamin D prevents falls in the elderly — this is simply not the case. Although vitamin D may reduce the severity of an injury stemming from a fall, research shows it does not appear to prevent falls themselves. A 2014 paper published in The Lancet Diabetes & Endocrinology summarizes a study of 29,535 people across 20 randomized controlled trials, finding that vitamin D supplements do not reduce falls by more than 15 percent — too small a difference to be statistically significant. It’s common sense, right? If you raise a patient’s bedrails, they won’t be able to leave their bed — and suffer a fall. However, research indicates that the opposite is true, according to a 2002 paper in Age & Ageing. Not only do bed rails result in an increase in injuries stemming from falls and entrapment, but they also may be linked to worsening agitation, fear, and delirium among patients. In fact, 50 to 90 percent of falls from beds in hospitals occur despite bedrails being raised. It’s no secret that physical activity, including walking, is good for your health. However, it might not be the most effective fall prevention strategy. A 2011 study indicated that although walking, strength, and balance training programs can promote overall physical health, patients with high fall risk should not be prescribed brisk walking programs. One trial event found that fast walking programs for people at high risk of falling can actually increase the risk of falls even further. Physical restraints should never be used in a nursing home’s fall prevention strategy. According to the Centers for Disease Control and Prevention (CDC), they do not prevent nursing home falls or fall injuries. In fact, restraints can increase the risk of fall-related injuries and deaths. They can also result in muscle weakness and loss of physical function. What Does Prevent Nursing Home Falls? 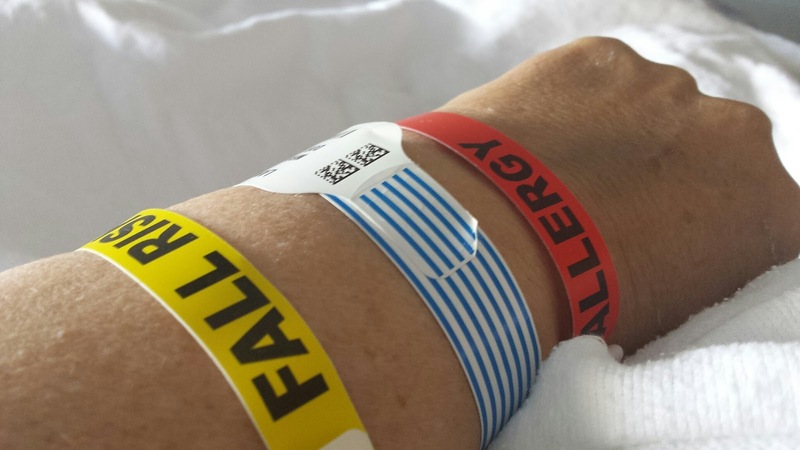 Assessing risk of patients immediately after a fall to address risk factors and treating the underlying conditions. Educating staff about the risk factors for falls. Reviewing prescriptions and analyzing potential risks of those drugs. Making changes to the nursing home environment. By keeping a close eye on high risk residents, facilities can form the foundation of a holistic fall prevention strategy. It’s a big job — but help is on the way. To learn more about the Hello Nurse wireless patient monitoring system, download our brochure.